I'm being a bit cheeky and am doing another post of my favourites for 2014. The other day I posted my favourite NEW releases here, but this post includes products that I've been using for a few weeks, months or even years! I bought this from the Natural Supply Co (see my haul here) and I've been so impressed with it. It's an easy to use mineral foundation powder. It's lightweight and it feels like I'm not wearing any make up. I find sometimes mineral powders can make my skin look flaky if it's dry, but I don't get that with this one. In the pack that I bought, it also had a kabuki brush, which has been wonderful for buffing the foundation into the skin. It's really soft and is a good size for apply foundation quickly. There are 6 colours available from the website. I can't wait to try out more of their products! I've mentioned this in a few of my monthly favourites over the year. It's a lightweight, green tinted primer that works well under all of my foundations (including the W3ll People mineral foundation powder). It helps to both reduce redness and also keep my make up looking good from day to night. It's really affordable at only $25.00! Of course I couldn't include a yearly favourite without mentioning this blush. It was actually in my yearly favourites of 2013 too (see here). This blush is my holy grail blush. It's super pigmented and you only need a small amount. I've had mine for a year and a half now and it barely looks used! At this rate, I'll be giving this to my great, great grandchildren! 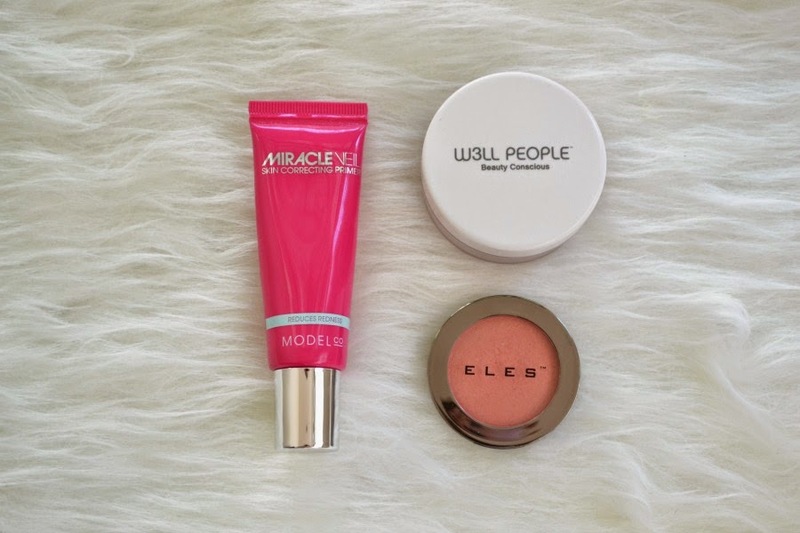 ELES recently released 6 new baked blushes and I need to get my hands on Orchid, Peony and Posey. I try not to use facial wipes often (I prefer to do a proper cleanse with a cleansing oil/balm followed up with my cleanser) but for those lazy nights, these wipes have been wonderful! They're free of nasties (like sulphates, parabens and alcohol) and they both cleanse my skin and exfoliate. They also don't test on animals. The wipes are quite tough, so I don't have to worry about it tearing even though I use both sides. They're also only $6.00 for 25 wipes, so they're affordable especially considering you cleanse and exfoliate with them. This is my second bottle and I keep falling in love with it the more that I use it. It contains Rose Otto, Burdock and Kakadu Plum. It's really refreshing and feels lovely when sprayed onto your skin. The packaging is also great as it's a mist, not a stream unlike some toners! It's 97.9% certified organic. This moisturiser is amazing. It gives me a lot of hydration without feeling heavy or oily. I can even use it as a day moisturiser and it still works well with my foundation. I've now run out of my deluxe sample and will be picking up another one at Priceline's next 40% off skincare sale. This lipbalm is my holy grail, can't live without lip balm. It's pricey ($32) but is far better than any other lip balm that I've ever used. It has a slightly oily feel that sinks into your lips. While it's amazing as a overnight balm, I also sometimes use it in the morning when I'm going to be wearing a matte lipstick (I just use a very small amount). The Bespoque range is custom made to suit your own skin concerns. Every bottle will be different for each person. My main requests with this moisturiser was to help deal with dehydrated skin and pigmentation, while having no fragrance. The formula created for me feels slightly thick, but it sinks into the skin quickly and easily. I like to use this as my night cream and use the Antipodes moisturiser in the day. The Terry White Chemist near my work offers this serve in store and I saw recently that they also have cleansers. I'll be popping in soon to get a Bespoque cleanser. Here's a bit of a strange one to add in, but this deodorant is AMAZING. 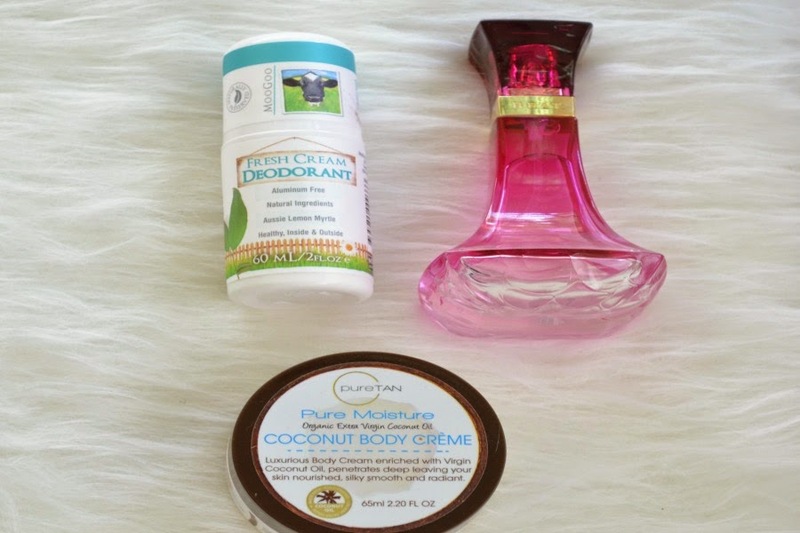 In 2014 I've tried to use more natural products and that included my deodorant. I never thought that a natural deodorant would work as well as a normal one, but this has exceeded my expectation. I had run out of this and went back to using a normal deodorant and couldn't believe that the MooGoo one was better. I'll never be without it again. I wasn't quite sure if I'd like this, so I picked up the travel size from Priceline. But after using it once, I wish I had bought the full size! It smells AMAZING!! Unlike other moisturisers, it doesn't have an artificial coconut scent. It's lightweight on the skin, but gives you a LOT of hydration. It's fast become my favourite body lotion ever and I'll be picking up a full size next time I'm at either Priceline or Myer. You can read my interview here with Danielle, who's the co-founder of PureTAN. I have to admit, most celebrity fragrances are just too much for me. Most of them are sickly sweet and you can tell the ingredients in them aren't always the best quality. With saying that, I was blown away by the Beyonce Heat Perfume. It has a very grown up scent with notes of pomegranate, boysenberry, honeysuckle, musk and butterfly orchid. With these scents, it becomes a beautiful mix of fruity and floral. I've also been really impressed with the longevity of the scent. Many inexpensive scents tend to disappear after an hour, but this scent lingers. If you haven't smelt this, make sure you do next time your at the shops. It's beautiful for the Australian summer. This is a recent favourite, but it has become a holy grail item for me. It's a gorgeous smelling mask, that smells like lollies. Even the next day, I still can smell it faintly in my hair. It feels thick in the tub, but sinks into the hair so easily and quickly. I like to keep it in my hair for 5-15 minutes (depending on how much time I have) once a week. I'm left with silky smooth hair, that has a lot of bounce and shine. This is actually something that I didn't like the first time I used it. It's a very light formula that won't leave your hair feeling squeaky clean, but still removes most of the excess oil (while leaving a small amount left). What made me fall in love with this is the fact that it never builds up like other dry shampoos. With normal ones, I can only use dry shampoo for a day or two before my hair starts feeling heavy and dirty. But with this I can use it for 5-6 days and my hair doesn't feel dirty or heavy. I also don't get any white residue with this since it's sprays so lightly on the hair. It's perfect for anyone with fine hair. I wouldn't suggest it for someone that has very oily roots. I've mentioned this many times before and I still love it! 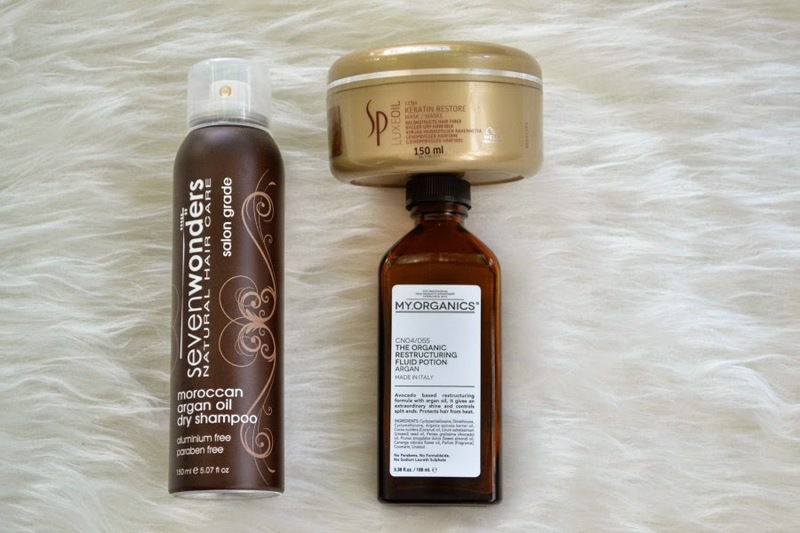 It has a mix of argan, coconut, avocado and sweet almond oil that works well in my hair. It doesn't feel heavy or oily. It also has a beautiful soft fragrance. A little bit goes a long way, so even though I've had this for over a year now, I still have about a third left. 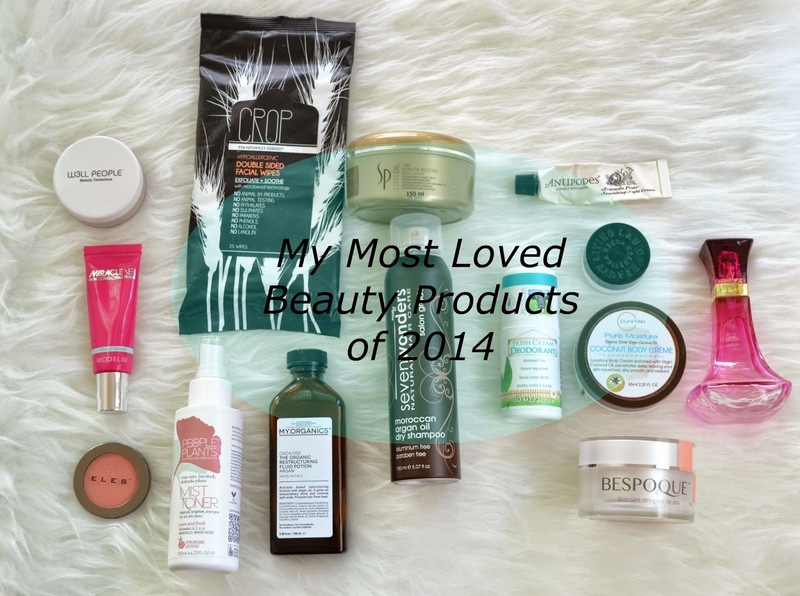 What have been your most loved and most used products of 2014? Isn't it amazing!! It's honestly the best lip balm that I've ever tried. 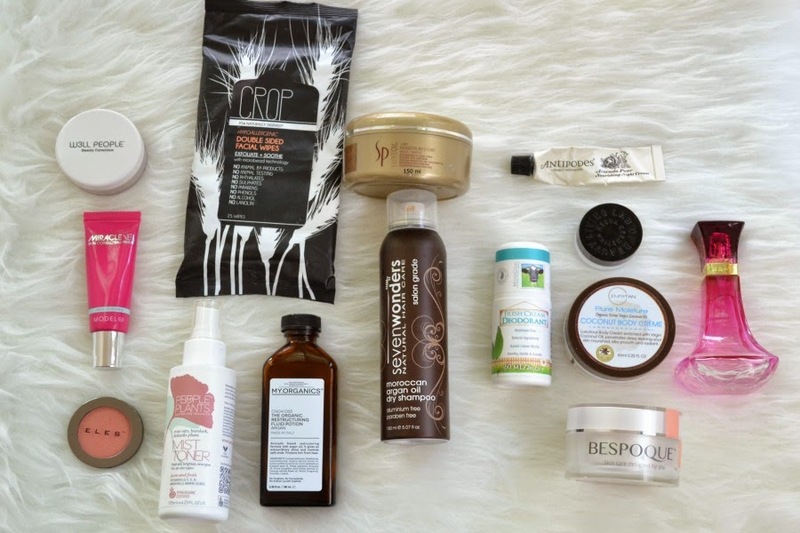 The Wella Luxe Oil Keratin Restore Mask was definitely one of my favourites from 2014 too! 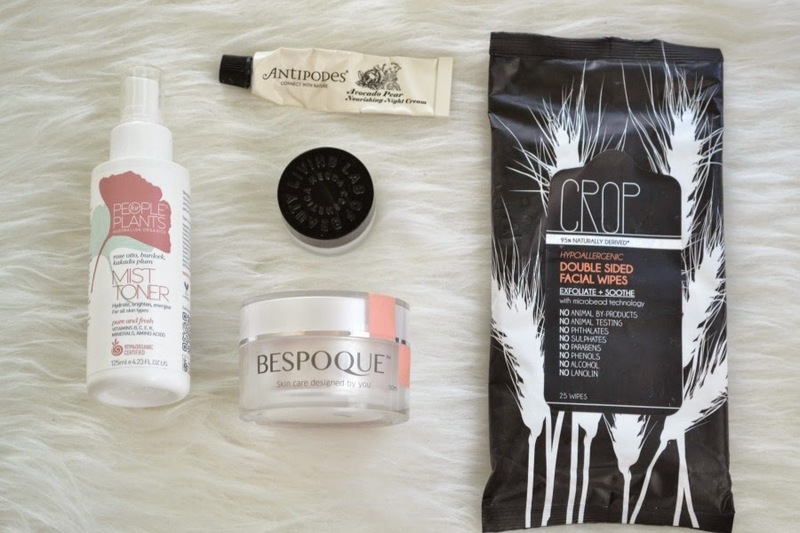 I've heard great things about the Bespoque line, it's great that they customise it for your own skin! Ahhh you have good taste ;) The mask is incredible. I love how in control you are with the Bespoque line. You can add or take out anything that doesn't work for your skin. oh such a great selection of products! Thanks Helen! I've been loving using them over the year. I am with you with the MooGoo deodorant. I discovered it just after the toddler was born as i had to buy a cream for him and man oh man i nver used anything else. there is thing called Lavanila that is similar to Moogoo but more pricey but i want it. It's funny how something so simple as deodorant can be so holy grail for me. I'll have to check out the Lavanila :) Thanks for the recommendation!